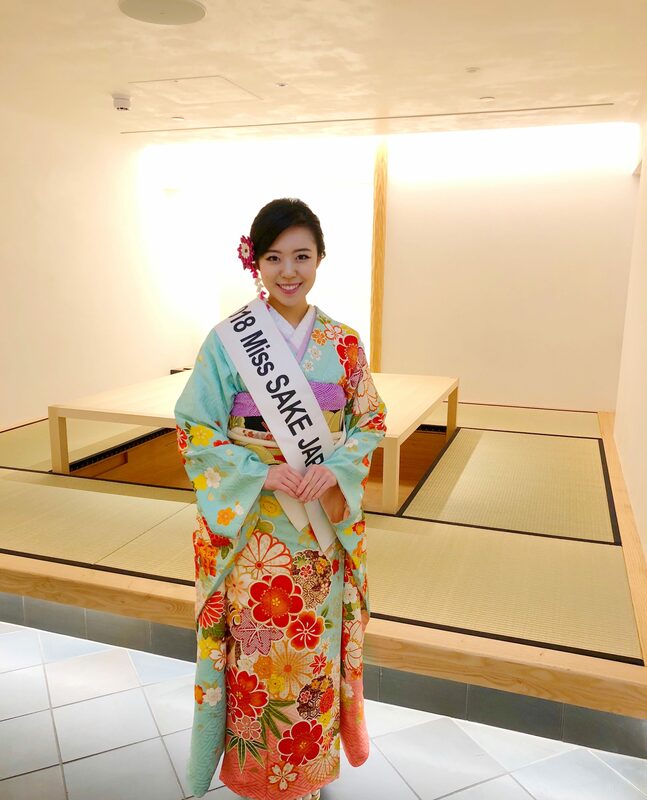 1 Asami Sudo, 2018 Miss SAKE, visited the JAPAN HOUSE LONDON. Asami Sudo, 2018 Miss SAKE, visited the JAPAN HOUSE LONDON. On September 28th, I visited the Japan House London located on London’s Kensington High Street. Japan House was built as a Japanese new cultural home in foreign countries, to provide a forum for creative and intellectual exchange between Japan and the rest of the world. 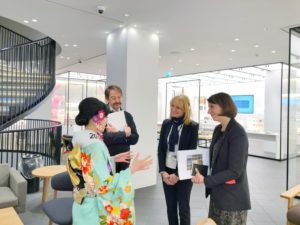 By presenting the very best of Japanese art, design, gastronomy, innovation, and technology, it aims to deepen our appreciation of all that Japan has to offer. 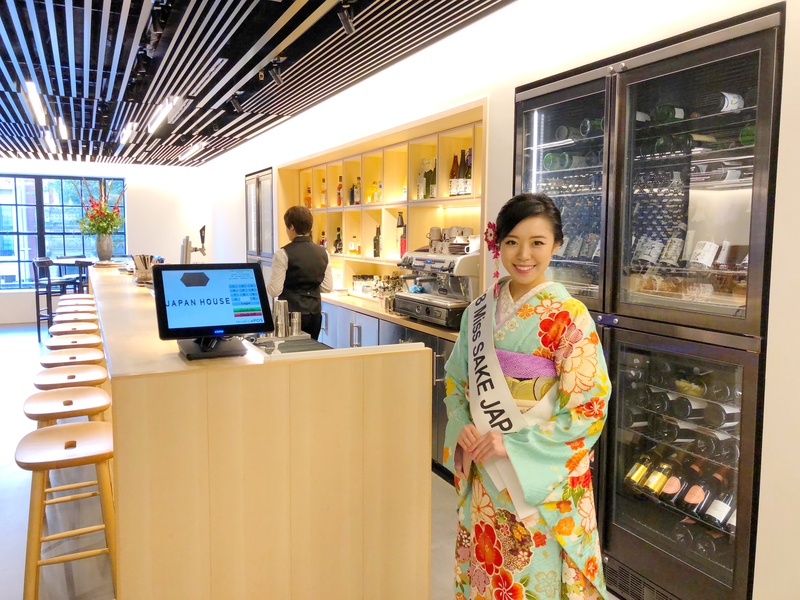 As part of a global initiative has been led by the Japanese Ministry of Foreign Affairs, there are already two other Japan Houses in Los Angeles and São Paulo. 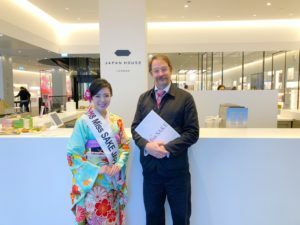 This time, Mr. Simon Wright, the programming director of Japan House London, showed us around in the building. 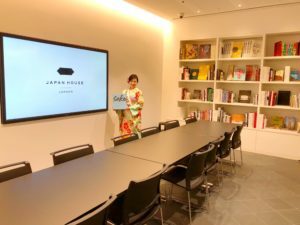 In Japan House London, it has an exhibition gallery, events space, a Japanese restaurant and a retail ﬂoor of thoughtfully curated Japanese products. At the restaurant, we could find variety of SAKE, too. 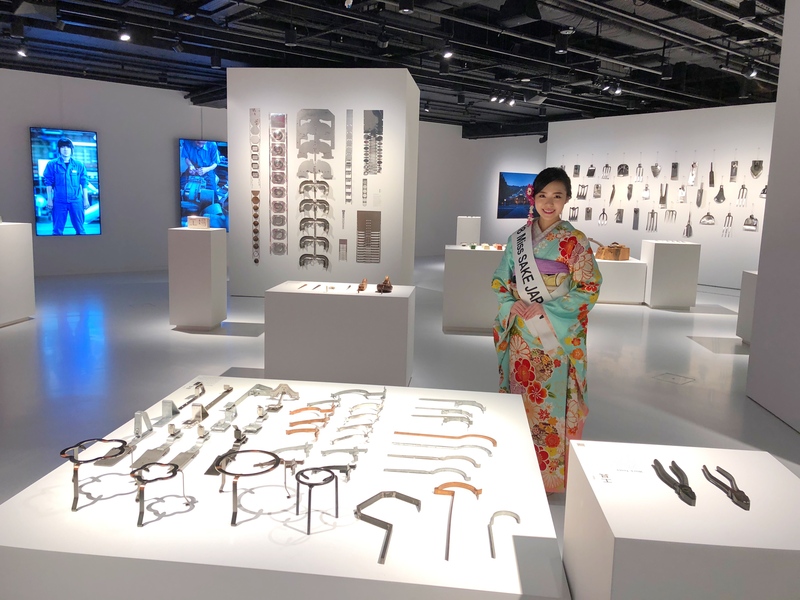 And happily, we could see the EXHIBITION of BIOLOGY OF METAL: METAL CRAFTSMANSHIP IN TSUBAME-SANJO. Tsubame Sanjo, located in Niigata Prefecture, is one of the most famous areas for the precision and skill of the craftspeople from its numerous small metalworking factories. 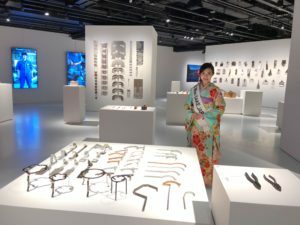 At the exhibition space, we could see various Japanese traditional nails and knives as well as the video showing the process of manufacturing. The traditional products placed in order at the stylish space impressed me so much that I could find the beautiful coexistence of tradition and modernity. On the wall of the exhibition space, we could see the following sentence by Gustav Mahler, an Austro-Bohemian late-Romantic composer. Exactly as the sentence, we are the ones who pass down, cherish and create our own culture. By visiting the Japan House London, where tradition and modernity exist beautifully together, I could realize such an important fact. 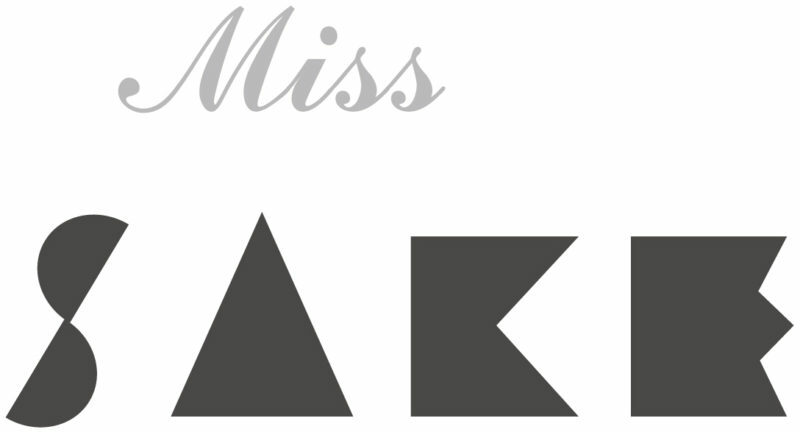 As Miss SAKE, I’d like to appreciate, consider and convey what is to be the culture, without being constrained by the existing frameworks. And I hope the Japan House London will be an important cultural home to share the beauty of Japanese SAKE, too. I could have a very meaningful time at the Japan House London. I extend my appreciation to Mr.Simon Wright for making a valuable time in his busy schedule.